We've all heard the saying, "It takes a village to raise a child." Well, according to a new study, that same principle can also be applied to our daily exercise routines. 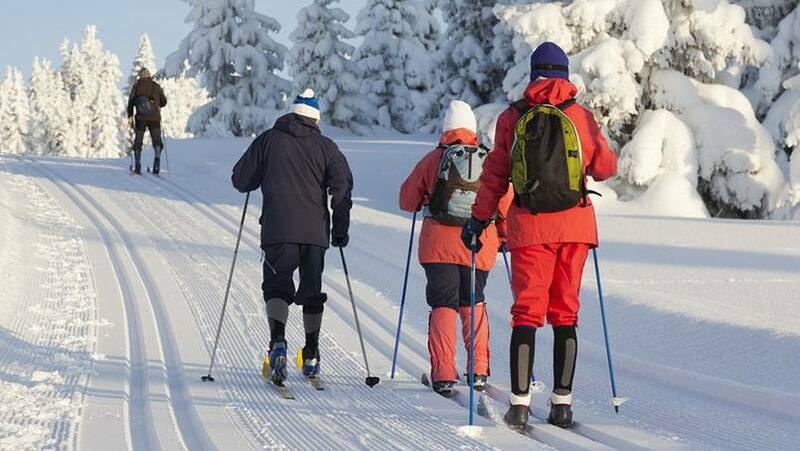 A team of researchers that includes Mayo Clinic's Zhen Wang, Ph.D., Timothy Beebe, Ph.D., and Mohammad Hassan Murad, M.D., collaborated with the American Birkebeiner Ski Foundation for an illuminating exercise survey. The survey was given to those who had participated in at least one American Birkebeiner ski race (also affectionately known as "the Birkie"). Founded in 1973, the race has grown into "the largest Nordic ski race in North America, attracting over 12,000 participants in 2015," according to the study. According to Dr. Murad, the survey "revolved around how having a social network of others to exercise with" affects one's commitment to exercise. And although the 5,453 Nordic skiers who responded to the survey "generally had healthy lifestyles and healthy eating habits to begin with," Dr. Murad says they also reported that having a strong "social network of support" played a significant role in their ability to maintain their level of exercise. When researchers correlated the survey data, they found that "the more people have a social network around them that encourages them to exercise, the more they exercise." Dr. Murad tells us the study found that the most common form of "social support" cited by Birkie skiers was verbal. That includes "discussing exercise, talking about the enjoyment of exercise, making offers to exercise with others," he says. "Exercising together and making or changing plans around exercise also received high scores." The results, Dr. Murad says, also showed that "even those who are already deeply advanced in their own exercise habits and lifestyles" can benefit from having an exercise partner or two. So what's this mean for those of us who aren't Nordic skiers? "I think it shows us that if someone is struggling with sticking to an exercise plan or routine, having people around them who not only encourage them but also exercise with them is a very good thing," Dr. Murad says. In addition, Dr. Murad says there may be other benefits to inviting others to share in our daily misery. (Sorry, we mean exercise.) "Perhaps you'll get tips from the people who help you exercise," he tells us. "Or tips to help you deal with injuries, or tips about nutrition. Regardless, all of this social activity, I think, will help you maintain a daily commitment to exercise." You can maintain your semi-daily commitment to us by sharing your comments below. Then, you can use the social media tools to share this story with others.